TVC also created voluntourism to encourage volunteer spirit amongst volunteers, allowing them to interact and volunteer alongside other volunteers from all around the world to help rebuild the tsunami-affected communities. At the same time, volunteers are given ample opportunities to interact with the local villagers through the learning of Thai cooking, dancing, batik painting, Thai language or even issues that concern local communities (e.g. land rights issues) etc. 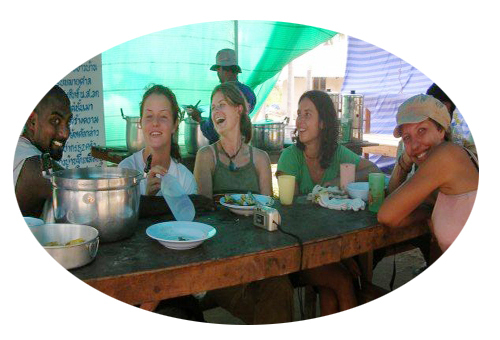 This increases the volunteer's culture awareness and knowledge of Thailand through having first hand experiences with the locals themselves. The locals would also benefit as the volunteers buy their local products and services that they offer in the area, hence in turn supporting the local economy.